Does it sometimes feel like your air-conditioner isn’t getting as cold as it should? Or, you turn on the air conditioner and it blows lukewarm air. You’re not imagining things! This is a sign your unit needs some tender loving care. Allright Plumbing & Heating, a professional air conditioning repair company, offers same day service and will diagnose, repair, and make recommendations to get your unit cooling properly again in no time! No problem is too large or small, especially when it comes to you comfoft! We do them all, so call us today at (719) 597-1099 for the best home or office air conditioning repair in Colorado Springs. When it is hot outside and hot inside, the summer can seem like it drags on and on. 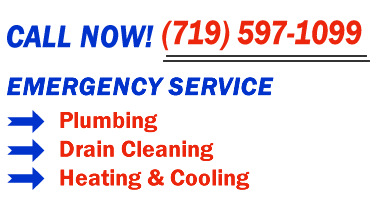 Call Allright Plumbing and Heating today at (719) 597-1099 to receive a free estimate on installing a new Air Conditioning unit. Our experienced Air Conditioning Experts will correctly size the unit and offer recommendations based on budget and the customer’s needs. We recommend installing the Amana Air Conditioner as it has the best product warranty in the industry. As well, it has a solid reputation and a long history of reliability. The Amana Air Conditioner warranty includes a lifetime warranty on the compressor. If it fails during the lifetime of the owner, Amana will replace it with a new condenser. All Amana parts have a 10-year warranty. A better warranty doesn’t exist! Call us today to get a free quote on installing a new AC unit and spend the season enjoying the weather! Longer AC lifespan – An Air Conditioner’s lifespan is usually between 10-20 years, but some can last up to 30 years if maintained regularly. An AC system that has not been serviced regularly can expect to last about 10 years. With proper service, this system can last 15 years or longer! Lower utility bills – The goal is to have your AC system perform efficiently. By having the system tuned yearly, your unit will perform better and you’ll spend less money on electricity. Peace of Mind – The last thing you want is to have to call for air conditioning repair in the middle of a hot summer. An annual air conditioning service conducted by a specialist means minor problems can be identified and fixed before they turn into bigger and more expensive issues. Fewer Repair Bills – A yearly maintenance on your AC unit can detect problems at the early stage that can be corrected by the technician. Keep the filters clean – Air conditioners collect a lot of dust and build-up while keeping you cool in the summer. A dirty filter can raise utility bills and damage the motor. It can also harbor contaminants that blow into your home and pollute indoor air. Clean or replace your air filter every month to ensure your system is working at it’s optimal level. If you live in a dusty area or have pets, you may need to change the filters even more frequently. Check the outdoor unit – Periodically inspect the outdoor unit for damage. Keep the area around the unit free of dirt, debris, weeds, foliage, leaves, and twigs to maximize cooling efficiency. Check your vents – Make sure your indoor vents are free from lint, dust, obstructions, hair, and pet dander. Call for service – Call for AC repair if you notice strange noises, water leaks, uneven cooling, fluctuating temperatures, or rising utility bills. 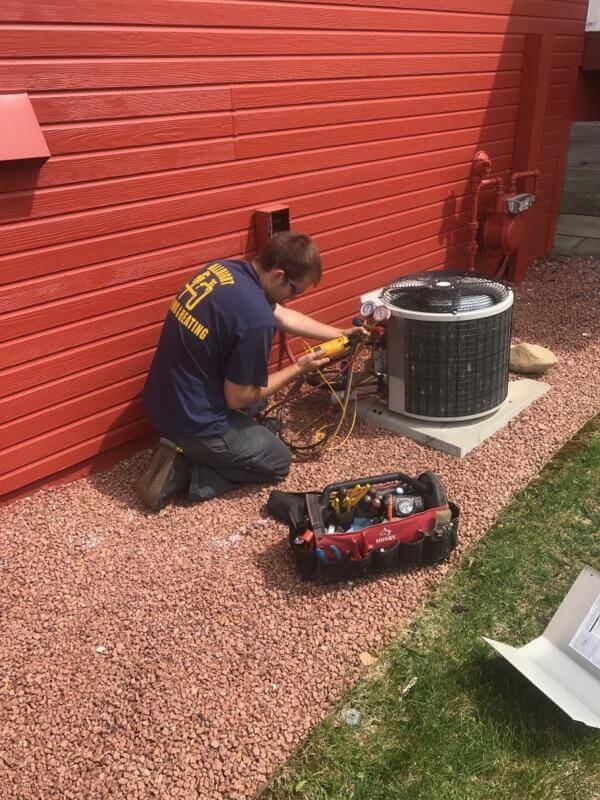 Our Colorado Springs air conditioning repair team is standing by at (719) 597-1099 to help you stay cool! With the dry Colorado climate comes the need for humidity. Low humidity can aggravate the symptoms of asthma. As well, a relative humidity below 30% can cause dry mucus membranes which lead to nosebleeds and infections. Whole house humidifiers are installed in the ductwork next to your furnace. They use heated air from the furnace to evaporate water, which then gets circulated into the home. Whole house humidifiers typically adjust automatically to a programmed moisture level. Reduction in sinus issues and dry skin. Sleeping in an environment with proper humidity levels allow you to go about your winter day without being irritated by dry air side effects. You may notice you sleep better and wake with less dryness. When the humidity percentage is increased between 30 and 50%, the air feels warmer. This allows for the thermostat to be lowered by as much as eight degrees! Whole house humidifiers require minimal maintenance. Filters are typically replaced yearly during the cold weather season. The whole house humidifier utilizes between 1.5 and 12 gallons of water daily. This is an insignificant amount which will not impact your water bill. Allright Plumbing & Heating can provide you with Humidifier repair and/or installation, in addition to AC installation and repair, to make your home more comfortable. Call us today at (719) 597-1099, to receive a free estimate on installing a new humidifier or Air Conditioner or to schedule a repair or maintenance on an existing unit.